More than 25 species of Pterophoridae have been recorded from New York State (Fitch 1854, Matthews 2006). Collecting, observation, rearing, and photographic documentation by the authors in 1994, 1995, and 2012 produced records of 15 species from the Oswego County area (see table below). At least one-third of the Pterophoridae use Asteraceae (composites) as larval hosts (Matthews and Lott 2005). Nine of the recorded species from Oswego County are associated with Asteraceae as larvae. Golden-rods (Solidago), Joe-pye weeds (Eupatorium), and yarrow (Achillea) are larval hosts to more than one species. 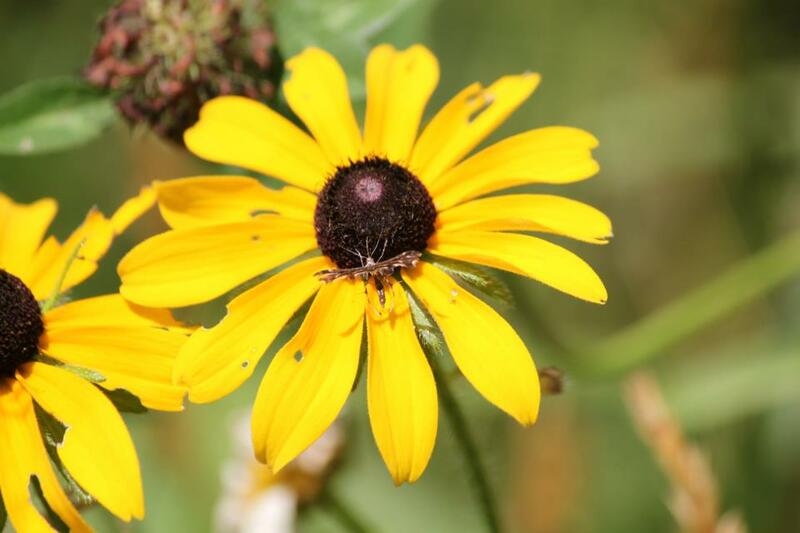 Asteraceae flowers, including common daisy (Bellis), black-eyed Susans (Rudbeckia), and yarrow (Achillea) are important nectar sources for adults of diurnal species. These day flying species generally have contrasting dark and pale banded markings on the wings, abdomen, and legs, as opposed to the solid or mottled markings of species only active at dusk or night. 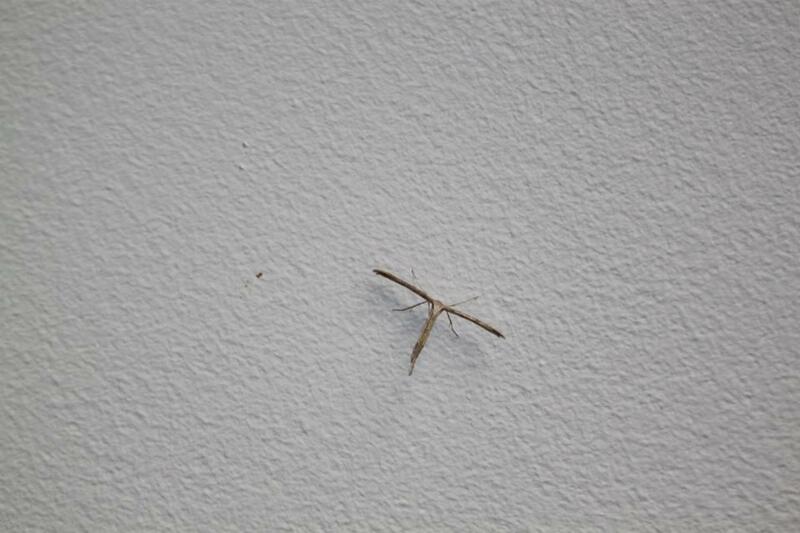 In Oswego County, adults are in flight during the months of June and July, with the exception of the morning glory plume moth, Emmelina monodactyla which overwinters in the adult stage. 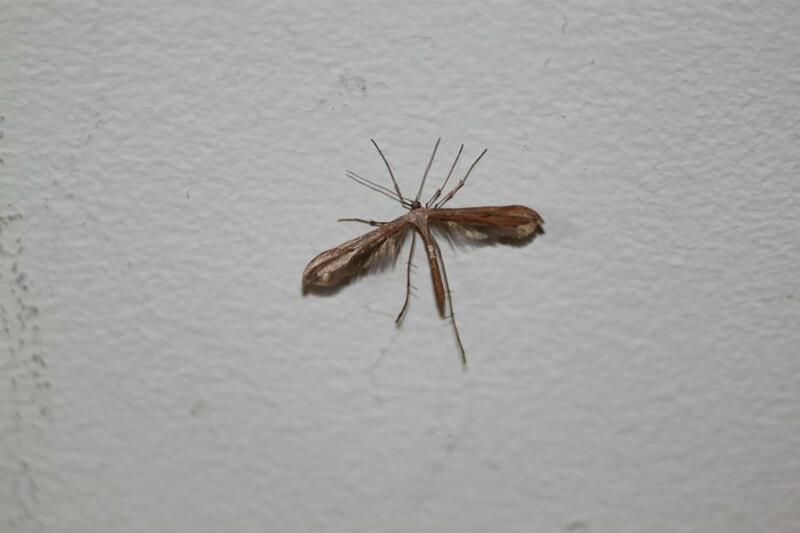 Adults of this cosmopolitan species are common in August but have been observed alive during the winter months. Larval hosts known from Oswego County are listed in the table below. Larval hosts known from other areas can be found in Matthews (2006) or Matthews and Lott (2005). Records of additional species from the county are anticipated as our studies continue. Fitch, A. 1854. Report on the noxious beneficial and other insects of the state of New York. Transactions of the New York State Agricultural Society 14: 691-880. Matthews, D.L. 2006. Larvae and Pupae of Nearctic Pterophoridae: A Synopsis of Life Histories, Morphology, and Taxonomy (Lepidoptera: Pterophoroidea). PhD Thesis, University of Florida, Gainesville. 959 pp. Matthews, D.L. & Lott, T.A. 2005. Larval Hostplants of the Pterophoridae (Lepidoptera: Pterophoroidea). Memoirs of the American Entomological Institute 76: 1-324. 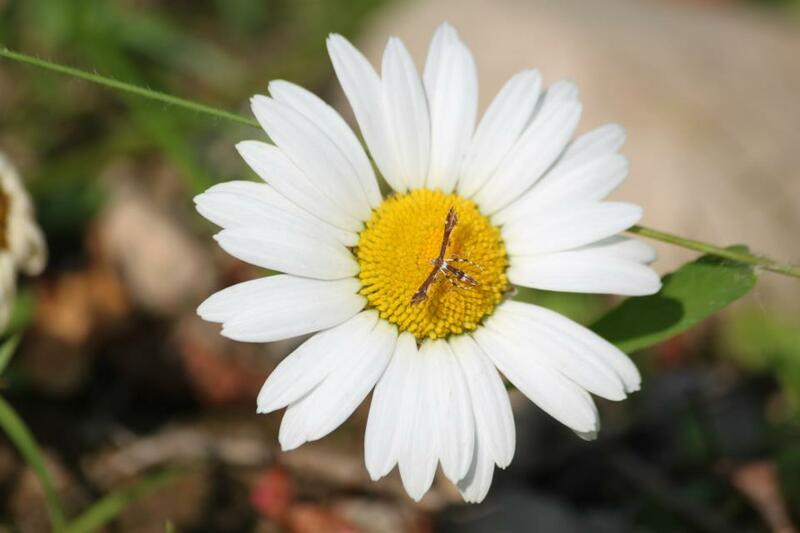 Geina tenuidactyla adult nectaring on common daisy, 4 July 2012, © Michelle Schneider. 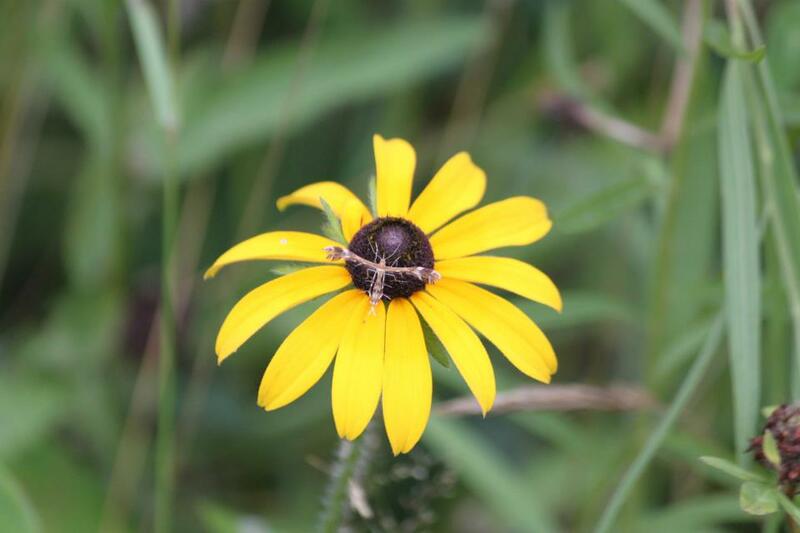 Geina tenuidactyla adult nectaring on black-eyed Susan, 4 July 2012, © Michelle Schneider. 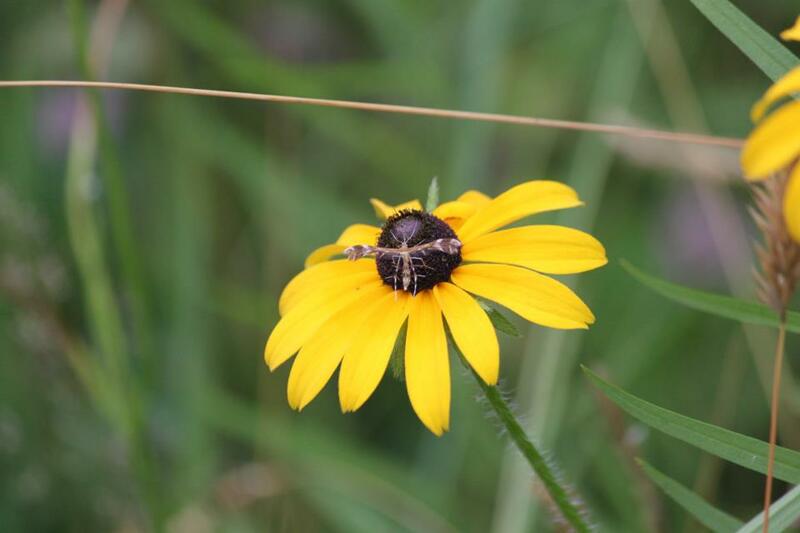 Dejongia lobidactylus adult nectaring on black-eyed Susan, 7 July 2012, © Michelle Schneider.